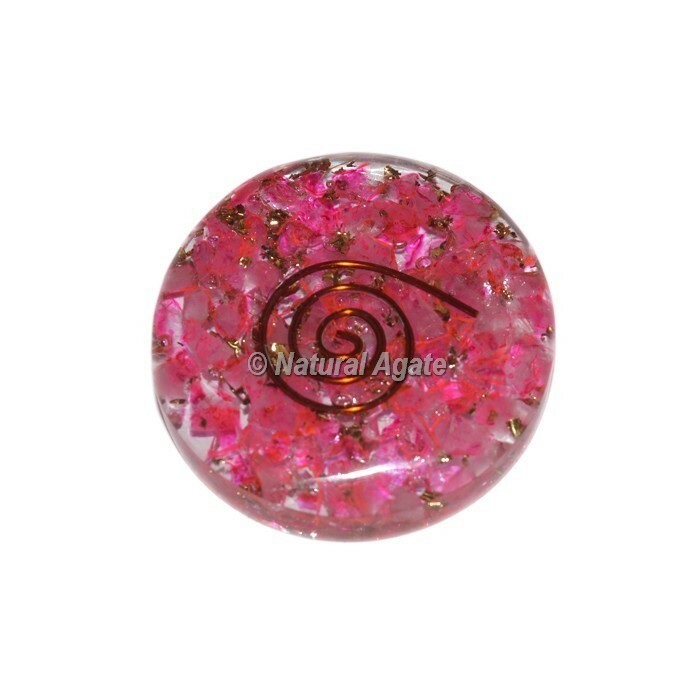 Natural Agate offers Pink Crystals Orgonite Disc Cab at lowest price. It is the stone of universal love. It restores trust and harmony in relationships, encouraging unconditional love. Pink crystal purifies and opens the heart at all levels to promote love, self-love, friendship, deep inner healing and feelings of peace.Order online now.